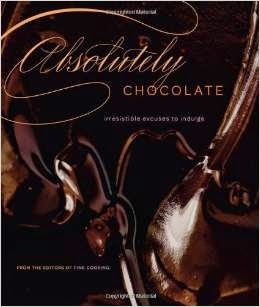 As we continue to celebrate National Cookbook Month on Review This, we go on to Chocolate Cookbooks. After all, if we're going to celebrate cookbooks, you just can't leave out the fabulous dessert ones. It was a joy to review 4 different chocolate cookbooks for the website Completely Chocolate. (www.completely-chocolate.com/) And of course, I just had to try out some of the marvelous recipes. Well, I had to make sure the cookbooks were as good as promised didn't I? The featured cookbooks include the latest from the Ghirardelli Chocolate Company and a great one just for vegan chocolate desserts. Since I have a vegan daughter, I couldn't resist trying out those recipes. They did pass the decadent test. Now, I will give you fair warning. Not all the recipes are easy to make. Some get quite complicated and require better chef skills than I have. These will take just a bit more practice on my part. But, even the failures were enjoyable to eat. photographs, most that make your mouth water just looking at them. But, each cookbook also includes lots of extras. Things like how to work with chocolate, how to make chocolate gifts and plenty more. Allow everyone of your family, friends and neighbors to enjoy National Cookbook Month with you. 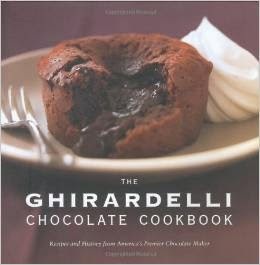 Get a copy of your favorite chocolate cookbook and try out a new recipe. A decadent dessert can work wonders for everyone. I have a vegan daughter as well. Who also is a chocoholic! That vegan chocolate cookbook has made her soooo happy.